One last glimpse of summer fashion. Summer and Bombay are a forever together kinda couple. 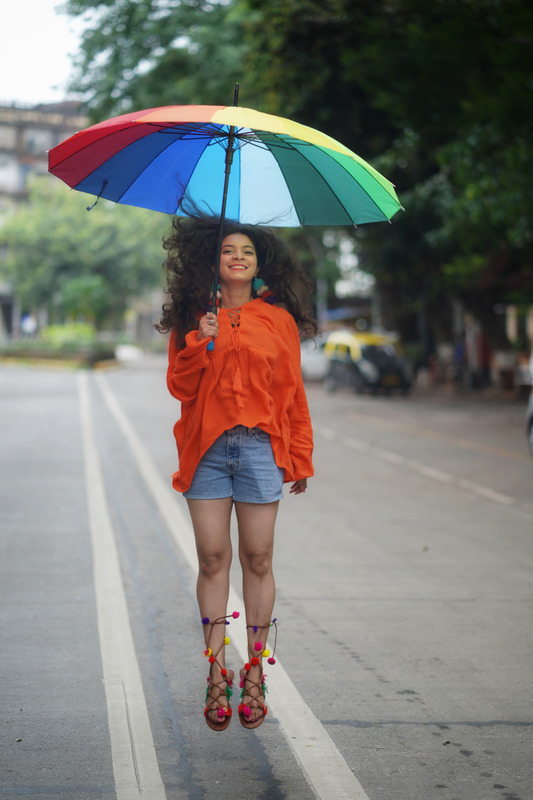 Not that summer is ever leaving Mumbai but I am officially saying goodbye to the summers with this one last summer OOTD! 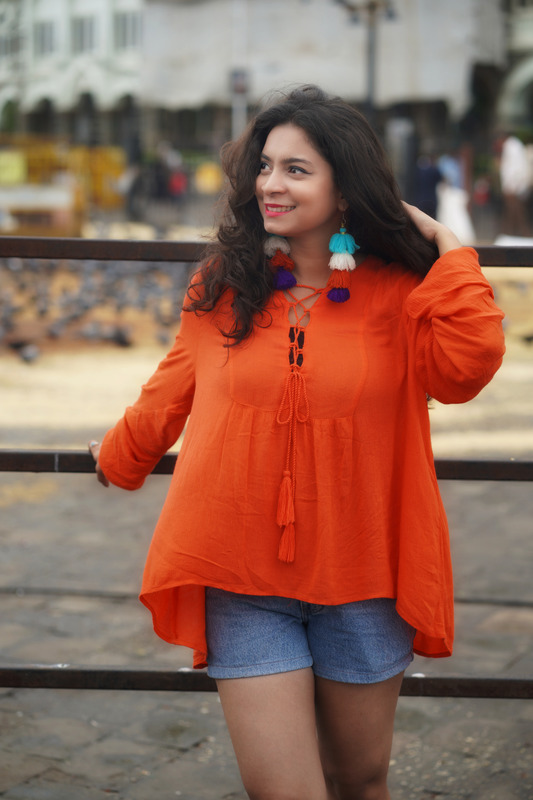 Summers to me have always been about bright colors and easy breezy silhouettes of fabric. And like so, I went all out and played with all the bright colors for every possible aspect of my outfit. 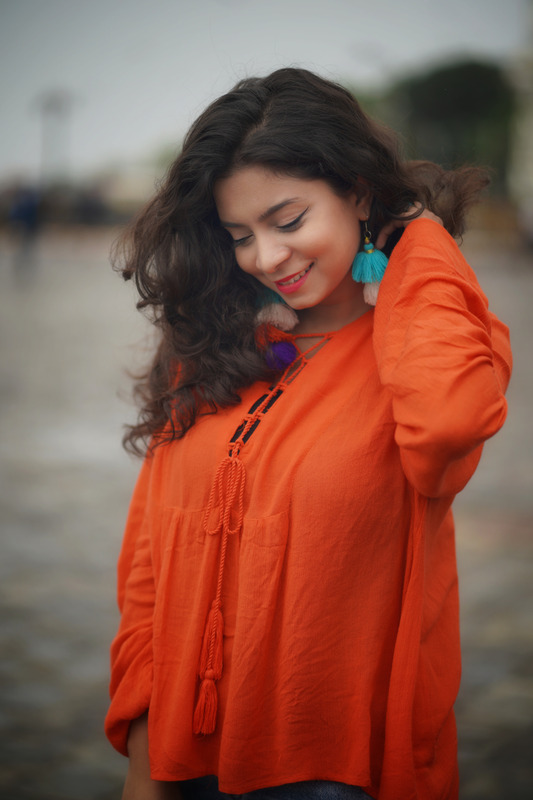 Starting with the first, Orange tunic which screams summers, not only because of the color but also because of the type of fabric and fit. It has an ongoing trendy neck design which has a tie up detail with tassels at the end. The fabric is free flowing and the fit is comfortable. I found this beautiful piece at a local store Nallasopara for just ₹300. The next up is a basic high waist denim shorts, which you would have seen me wearing frequently (Because sustainable fashion guys!😜). Bought it a year back from Colaba causway again for ₹300. And now coming to the fun part, the accessories and shoes. For accessories I went for these playful tassel earrings which I got for only ₹30 from a stall in Nallasopara. Stacked a few silver rings in both my hands which are from a tiny shop near Vile Parle station. Last but definitely not the least, the most quirky pair of shoes I own. 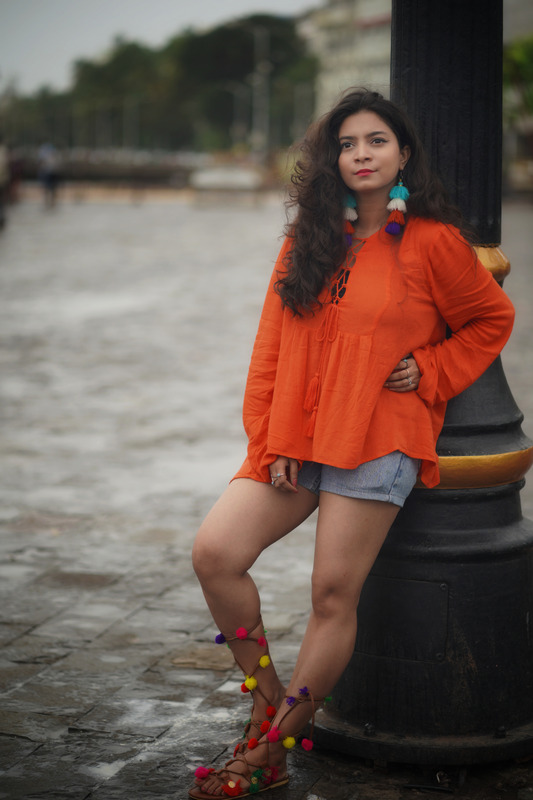 The colorfull pom pom tie up flats are from a store named La Judi in Bandra for ₹500. They are such head turners and can pop up any plain outfit! The whole outfit put together maybe a little too loud, one can tone it down as per their own style. Orange tunic : Nallasopara station. 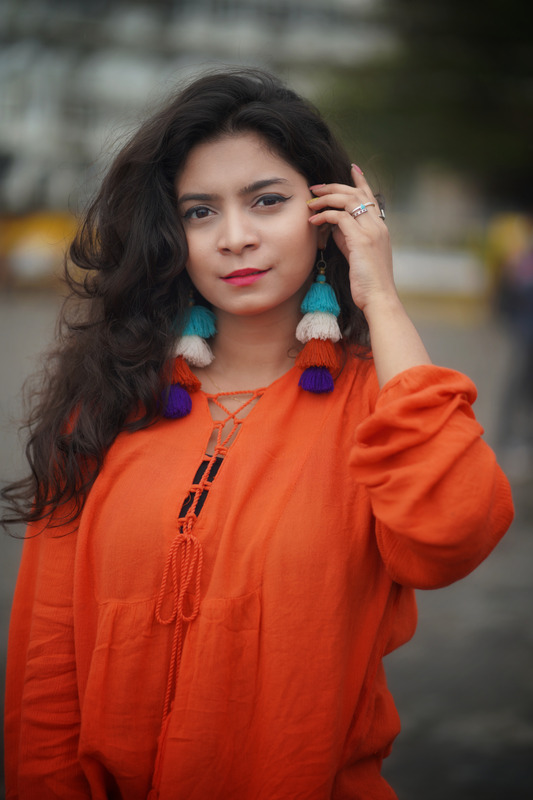 Tassel earrings : Local stall. 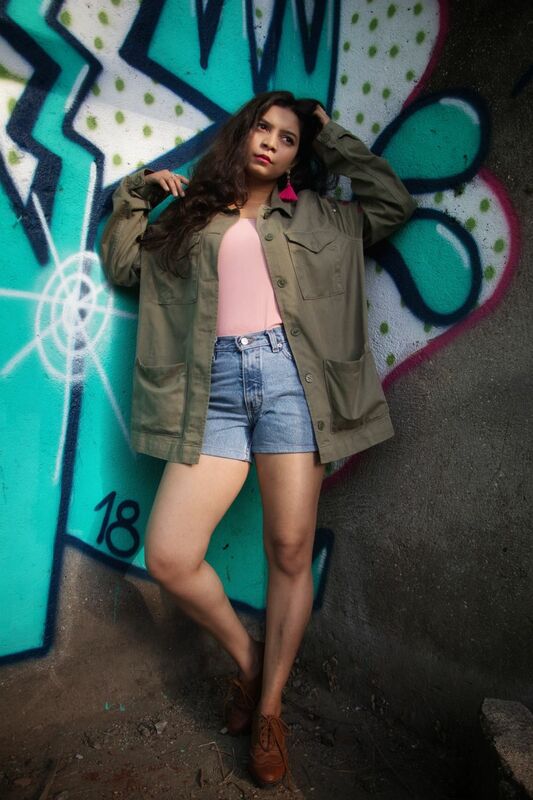 Denim shorts : Colaba causway. Silver rings : Vile Parle station. Pom pom flats : La Judi, Bandra. Behind the camera Vinayak Dongargaonkar .